Something something April showers. I had just “participated” in a 2.5k hosted by Sigma Kappa at the University of Washington. Yes. A 2.5 out of 5. I may or may not have voluntarily botched the 2nd loop around the designated course. My friends (deservingly) and I (not deservingly) rewarded our noble athleticism by feasting on a combo of heavenly biscuits and boldly concocted jams on the ave. We had a discussion about favorite and least favorite months. July seemed to be the supreme winner overall with its abundance of birthdays among our friend group, peak weather, and epitomizing summer by way of endless events. April came in dead last. We failed to come up with something special about it. It was the annoying roadblock to all the better months. The Tuesdays of the week. April’s positioning may have been bumped up if I had only remembered the second coming of Seattle restaurant week takes place in April. 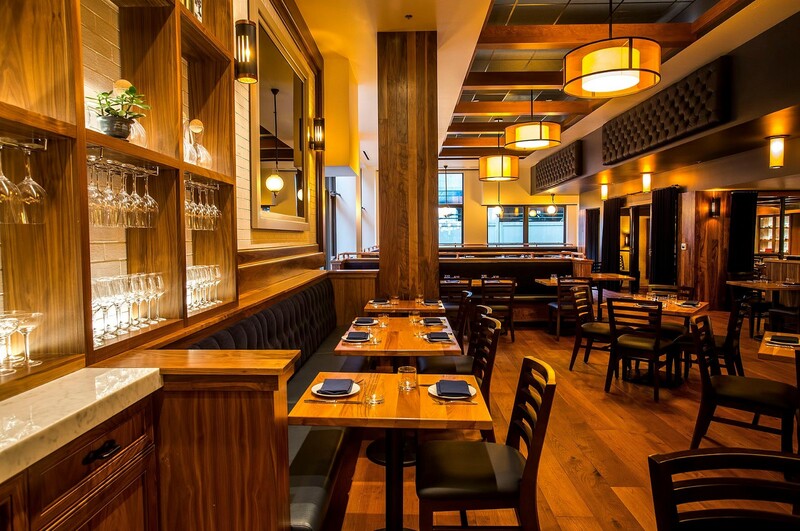 Over 165 restaurants offer 3-course dinners for just $35. Some places even indulge in 2-course lunches for just $20. Please Note: The event runs from April 7th-11th only; excluding Friday, Saturday and Sunday brunch. Reservations always recommended for any spot on the list. I’m looking for a thoughtful menu of dishes that can create a perfect meal. Let’s have some interesting apps and standout protein options during the entree round. Extra points if they are mindful of vegetarians, vegans, and gluten-free people. While restaurant week gives eateries an opportunity to engage with new menu items or play with a prix fixe style dinner, it should always be the experience a guest would receive without restaurant week involved. If a restaurant does tapas, then that isn’t quite the experience someone would get if they eat a rigid 3-course meal. Almost all these restaurants run on the higher end of tasty transactions, but which ones are the sweetest deals for their price point? All that said, let’s take a look. 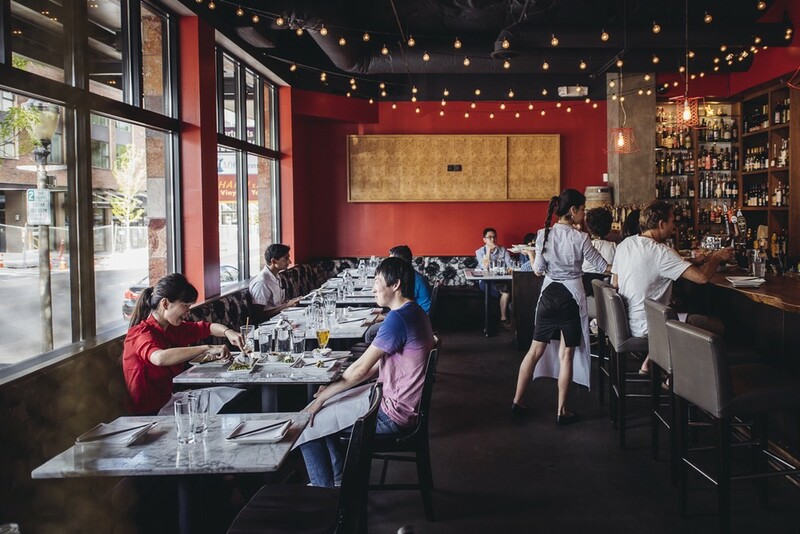 This newcomer to the Seattle restaurant scene has already made quite the impression. 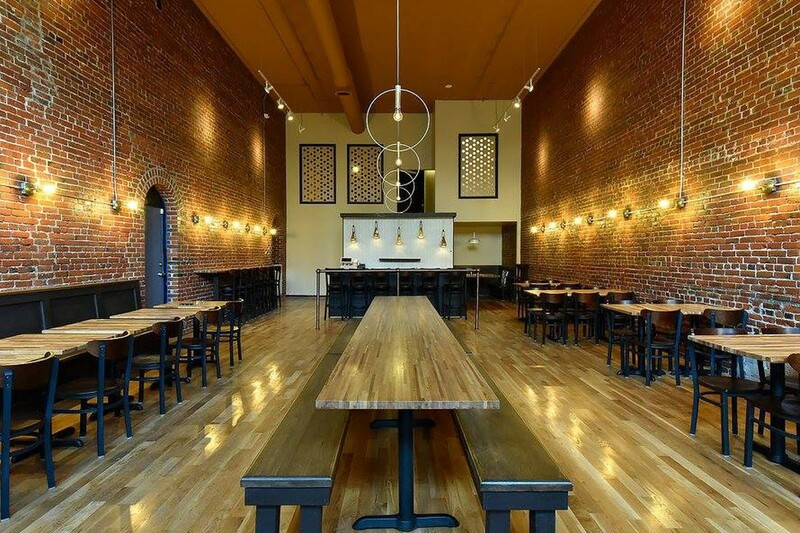 Aerlume beautifully communicates the bounty of local ingredients in the PNW. Under the leadership of superstar chef Jason Wilson (The Lakehouse, Miller’s Guild, El Gaucho) and restauranteur Chad Mackay (Fire and Vine Hospitality) Aerlume harnesses the team’s energy and masterful ability in defining what an iconic PNW restaurant should be. Aerlume has sublime food, a swanky but sweetly tender atmosphere, and vivid views of the bluest of blue waterfronts. You’ll want to say you’ve dined here. I want to say I was about 12 years old when I was denied a chance to eat foodstuff from the Barking Frog. My family was invited to the wedding of a family friend. I was included in the invitation, but my parents didn’t let me go. I then found out the wedding food was catered by Barking Frog and I’ve held a grudge ever since. Don’t let 12 years old me be you. I’ve pretty much put Barking Frog on every SRW list because they know to how to churn out stellar menu options and even better morsels. Doesn’t hurt the Willows Lodge in Woodinville is a thing of Pacific Northwest beauty. Rec for the lunch menu only. Not to be confused with Boka, that’s a different restaurant group entirely. 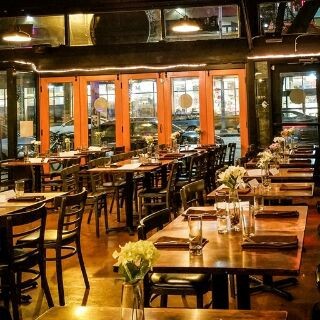 Boca Resto Bar and Grill brings a needed Latin flare to Seattle. I like the simplicity of their SRW menu with traditional items like a paella that sounds divine. It’s still a relatively new restaurant so it is in a sweet spot to become your favorite hidden gem. There isn’t another restaurant quite like Chan in Seattle. Classic and contemporary Korean dishes delight all the senses. 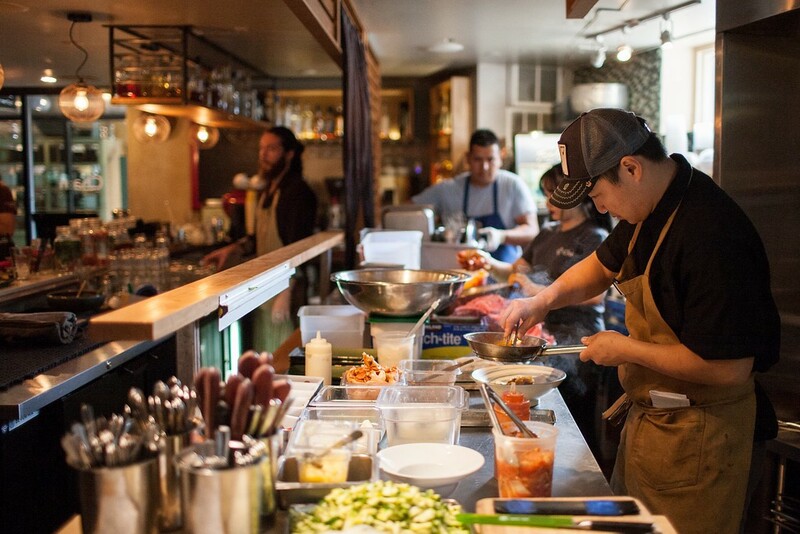 Marvel at Chan’s skilled team and technical cooking abilities through their open kitchen. With a relaxed vibe, but octane flavors, Chan is probably the most fun you’ll have dining in a long time. Ok. So Girin has some bang for your buck tasting menu options that somewhat render SRW moot, but when a restaurant is as good as Girin, you take any opportunity you can to go. 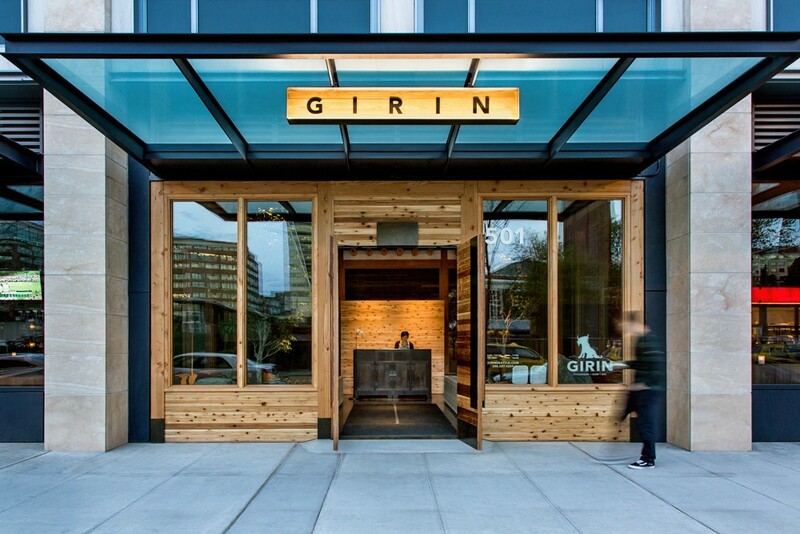 Girin’s reverence for Korean ingredients shines through most in dishes like yukhwe and pork belly. Is there anything better than lettuce wraps full of meat and umami? Plus, the interior is one of my favorite spaces in Seattle. Ethan Stowell’s eatery found its home at The Four Seasons. 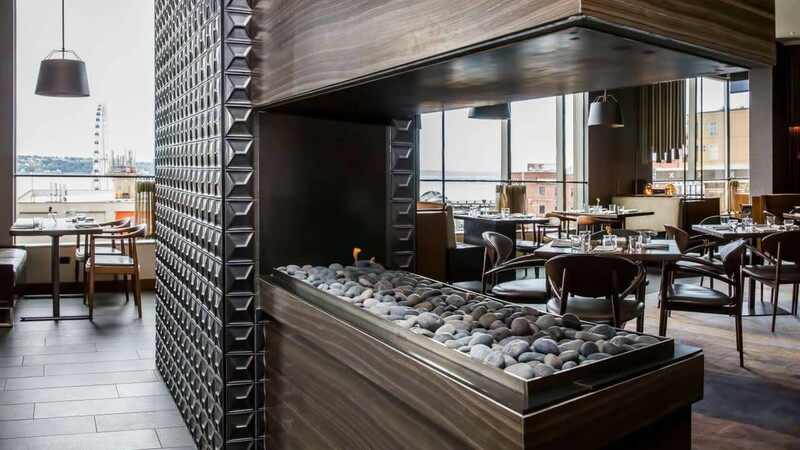 Goldfinch replaces the icon that was Art Restaurant, bringing an emphasis on Pacific Northwest ingredients and Seattle cuisine. All the food here is as vibrant, technical, and thoughtful as the interior. Goldfinch is a stunning restaurant in the heart of downtown. If you want to capture the essence of Seattle in every bite, this is where you’ll want to be. Heartwood Provisions is one of a kind. It has all the hallmarks of a great restaurant sure, but it’s their combination of storytelling with food and beverage as the medium that is the most compelling. Chef Varin Keokitvon draws inspiration from his travels, heritage, and memories. His sublime flavors married with Beverage Director, Amanda Reed’s sensibilities for spirits, make for an unforgettable experience. It’s not a teppanyaki style Japanese steakhouse like a Benihana, but a modern take on steak with Japanese influences. 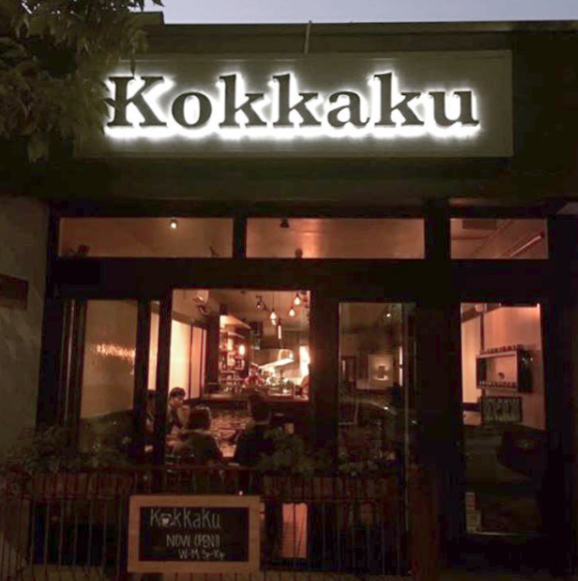 Kokkaku’s a newcomer, but already making waves with their technique and approach to foodstuff like Wagyu steak. 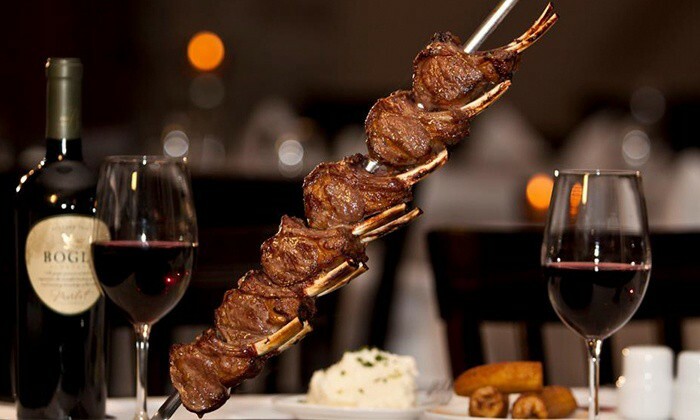 If you want a different steakhouse experience from Daniel’s Broiler or John Howie, Kokkaku is the place to be. 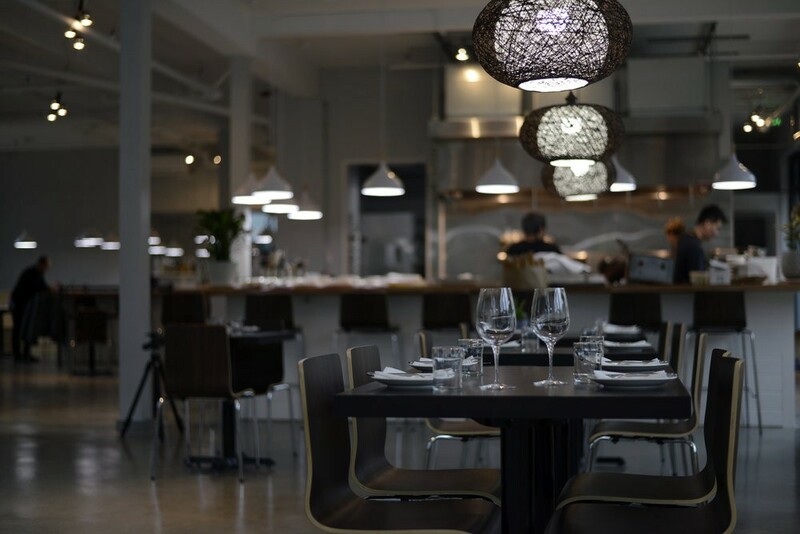 Brian Clevenger of Raccolto and Vendemmia fame brings another minimalist Italian spot to Seattle. 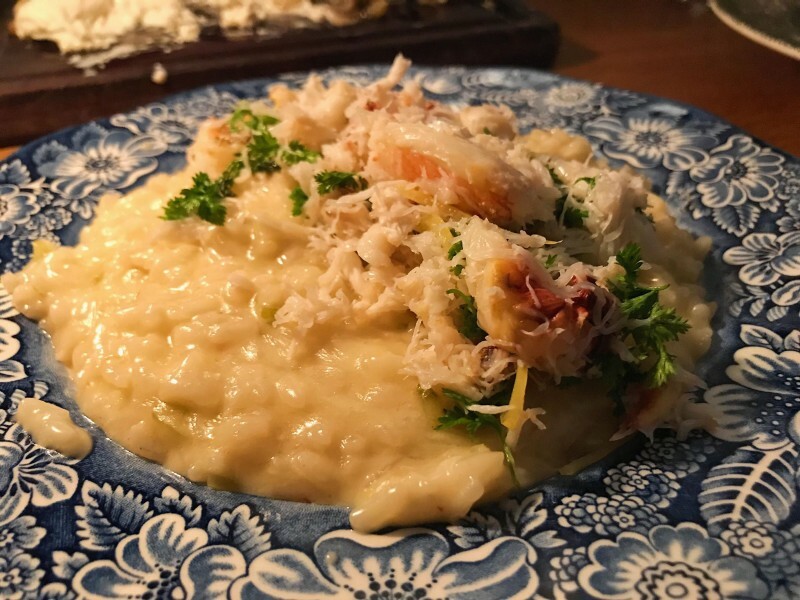 Clevenger’s food is always spot on and hits a balance of dishes that are refreshing and sleek enough for the foodiest of foodies and Instagrammers, but still appealing and delectable for your parents and their friends. It’s a perfect neighborhood joint. 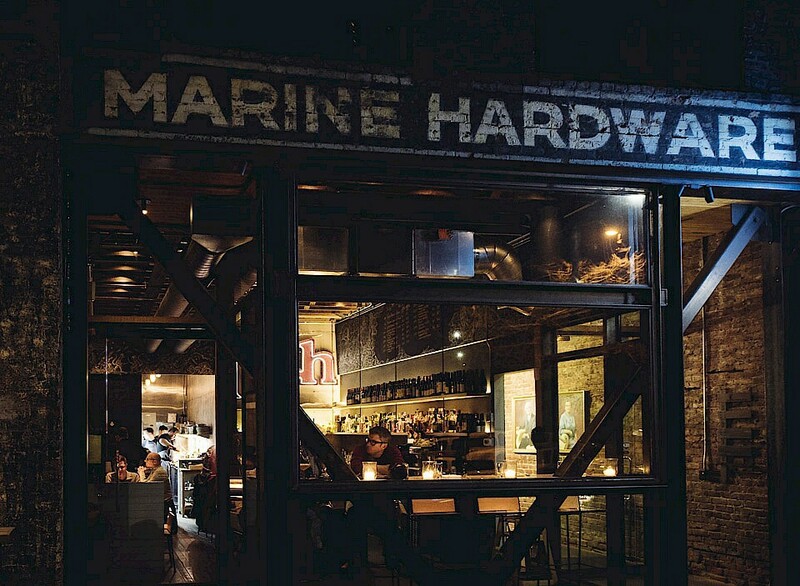 It sounds more like the secret meeting place to plan my dad’s annual fishing trips with his buddies than it does an actual restaurant, Marine Hardware is situated next to Ethan Stowell’s Staple and Fancy. 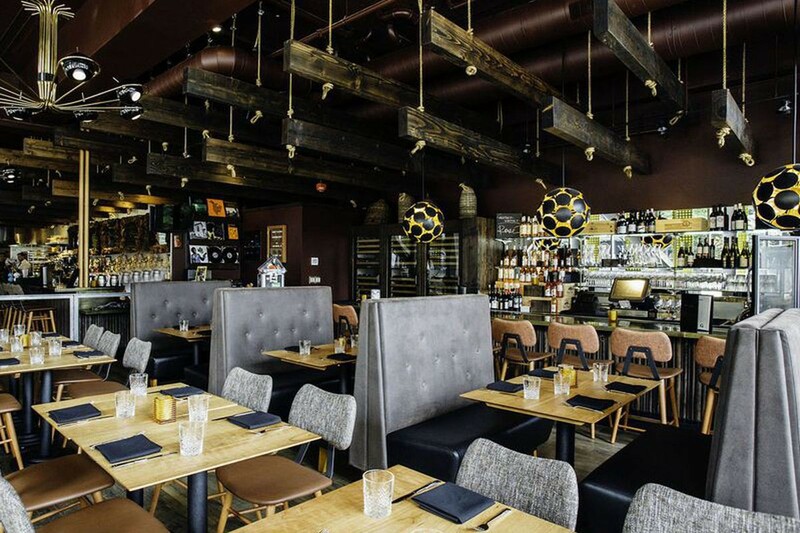 Hardware focuses on elevated small plates and with a wide array of dishes for their SRW menu, you’ll feel like you’ve gotten the full breadth of just what this place is all about. This spot has the toolkit to build a dining experience that will leave you impressed and confused as to why this isn’t on everyone’s radar. Sophie and Eric Banh are two of my favorite chefs in the city. Here is to the restaurant that started it all. With an ever-expanding empire of restaurants including Ba Bar and Central Smokehouse, Monsoon is the proud flagship and still just as good. I went here for a pre-thanksgiving feast during restaurant week and it was fantastic. It can be difficult for any restaurant to pioneer a different way of thinking about cuisine. Nirmal’s is in such a position to bring elevated Indian fare to the people of Seattle. Nirmal’s is truly a leader in the sensational flavors and spices of India. With an impressive SRW menu full of vegetarian and meat options, let Nirmal’s take you on a sensory experience like no other. Didn’t think I’d put a Factoria restaurant on this list, but Novihos is really giving everything they can to their SRW menu. For your starter, you have access to their hot and cold foods buffet area. You can choose a different protein for your entree, and you have your choice of 2 desserts. It’s close to the exact experience you’d normally get outside of SRW, just a lot cheaper. With consistently positive reviews and a standout menu this time around, Novihos is a welcome newcomer to my SRW rec list. It’s also closest to my house, hit me up if you want to get dinner. 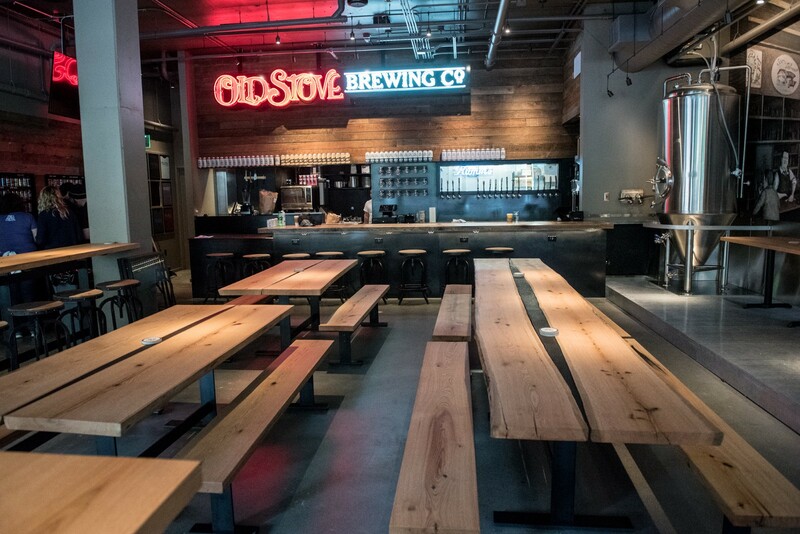 Old Stove is a hyper-casual kid friendly brewpub. T-shirt merch on-site belies the brilliance of their food. Their craft beers elevate thoughtful dishes like paella and charcuterie. If you want an unfussy but delicious SRW experience, Old Stove will provide. 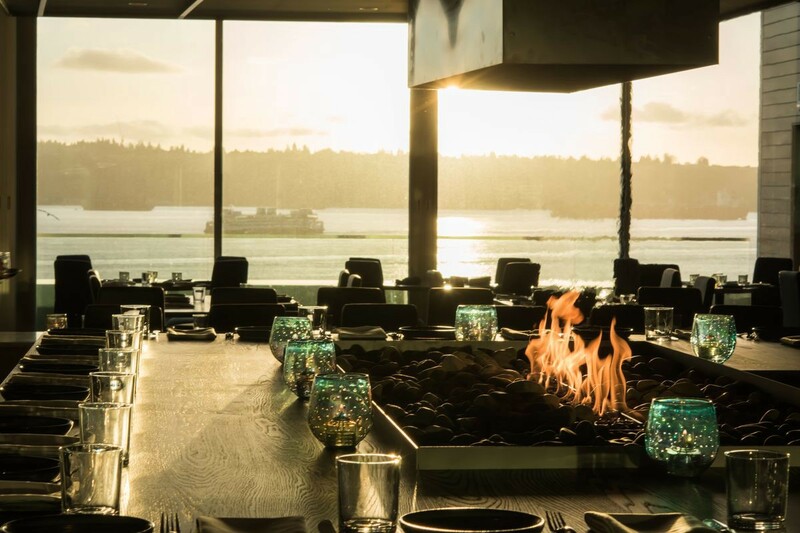 With gorgeous waterfront views and even more impressive dishes, Palisade is a staple to Seattle dining. It was the training ground for John Howie and many other talented chefs. Palisade’s a timeless classic perfect for a romantic getaway. The lunch SRW option is an absolute steal. 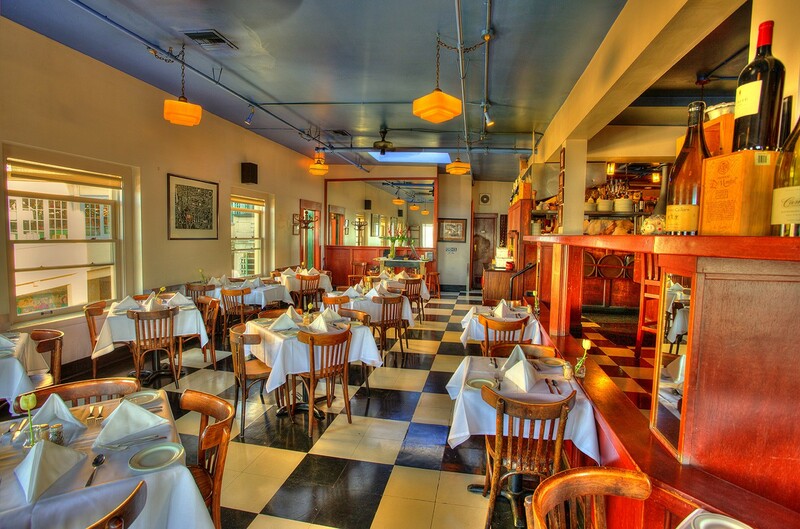 Legendary Pike Place restaurant, Place Pigalle has a welcome spot on this list. It’s somehow both a hidden gem and a beloved dining institution. Timeless classics are timeless for a reason. Here, you’ll fall in love with the food, the views, and hospitality, all while feeling the heartbeat of Pike Place. 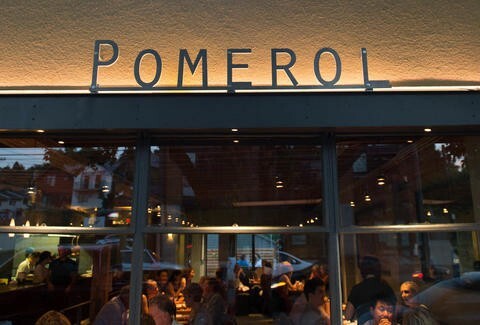 Pomerol is the ambitious project of Vuong and Tricia Loc. This is modern French food where the details make or break a dish. Pomerol just has that special it factor that so many other restaurants don’t. Poppy is the unmistakable magnum opus of legendary chef Jerry Traunfeld. He pioneered Pacific Northwest dining during his tenure of the celebrated Herbfarm restaurant. Traunfeld showcases the concept of Thali, the Indian name for a round platter used to serve various dishes and accompaniments. 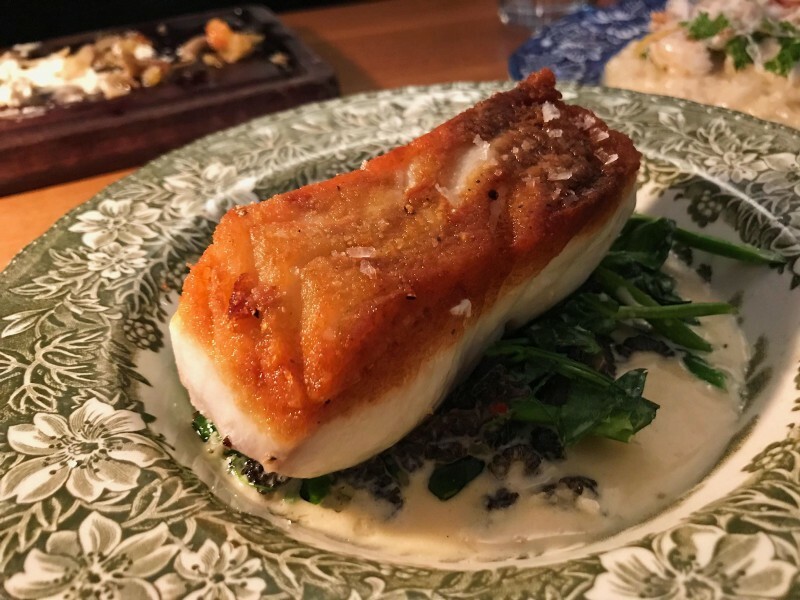 SRW menus don’t lend itself very well to Poppy’s style, but their bold flavors are superb enough to land them a spot on the list. RN74, named after a highway in Burgundy, is the swanky French bistro by legendary chef, Michael Mina. 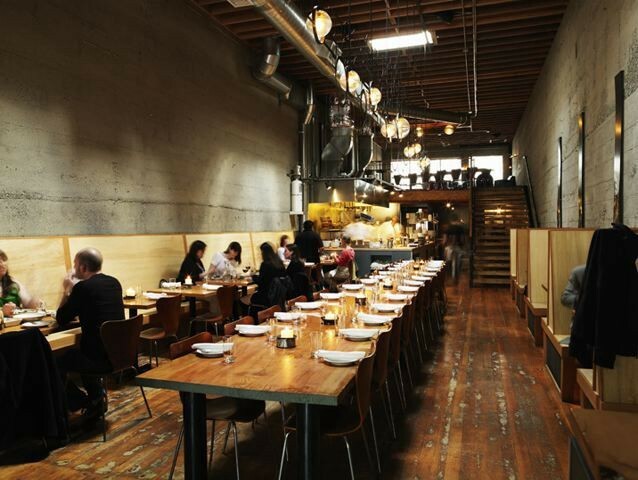 Mina is a titan in the industry and RN74 seems like a godsend for Seattle. 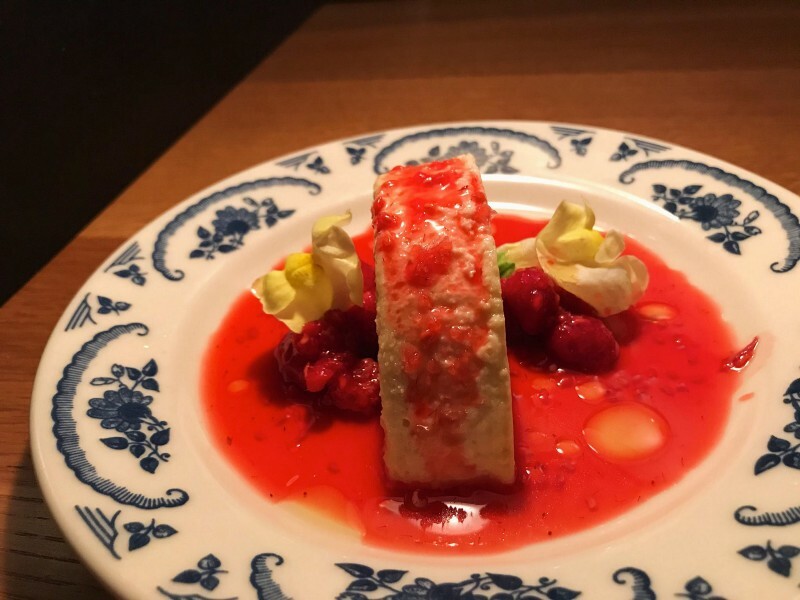 Classic and elevated modern French food can be difficult to find here, but RN74’s flare for PNW touches makes their dishes stand out from the crowd. The restaurant’s vintage wine list displayed on train station boards are a nice detail, all of which will have you in for a delicious ride. Below are some photos of from my birthday dinner at San Fermo. San Fermo, San Fermo, I love San Fermo. It’s a beautiful restaurant with a wonderful house style design. 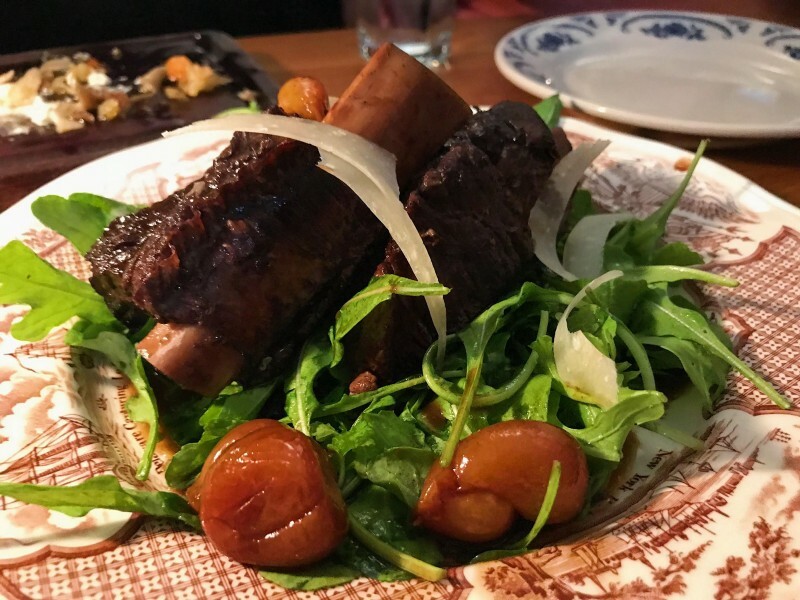 San Fermo has a revolving door of seasonal menu items, but with an open selection for SRW, you’ll get an accurate taste of this incredible little restaurant. Mitch Mayer, former chef de cuisine of Lark is having plenty of fun with cool and breezy Sawyer. Their entire menu is whimsical rifts on American comfort classics. Oxtail Nachos to start and artsy choco tacos to finish will have you smiling and swooning. 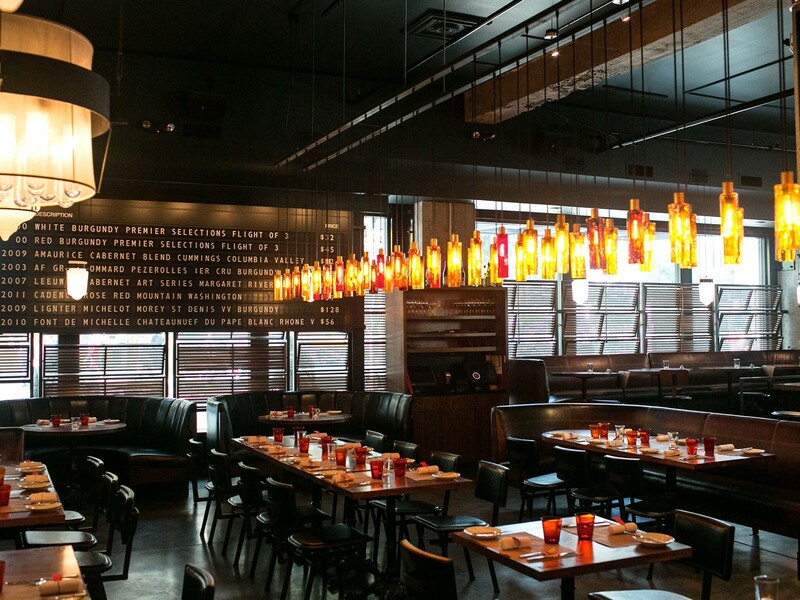 Sawyer is the hottest restaurant right now with critics and contemporaries. 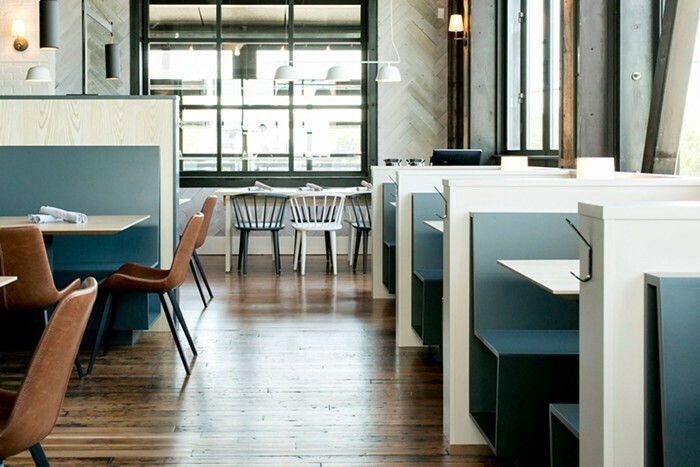 They even snagged a James Beard Award semifinalist nomination for best new restaurant. Make a res fast. 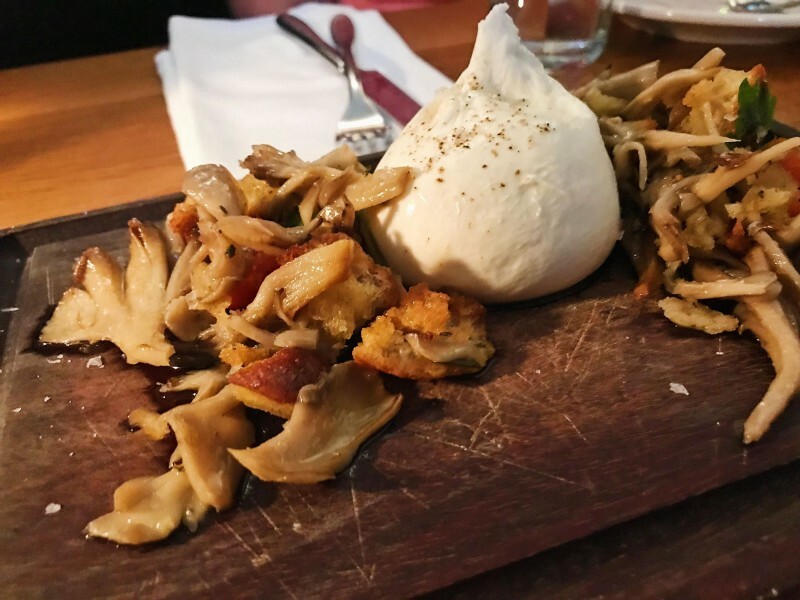 Tavolata in Capitol Hill and Belltown gives you practically free reign over their menu. Ethan Stowell has no bad restaurants, but Tavolata is a true standout because cardinal here is all things carbs. 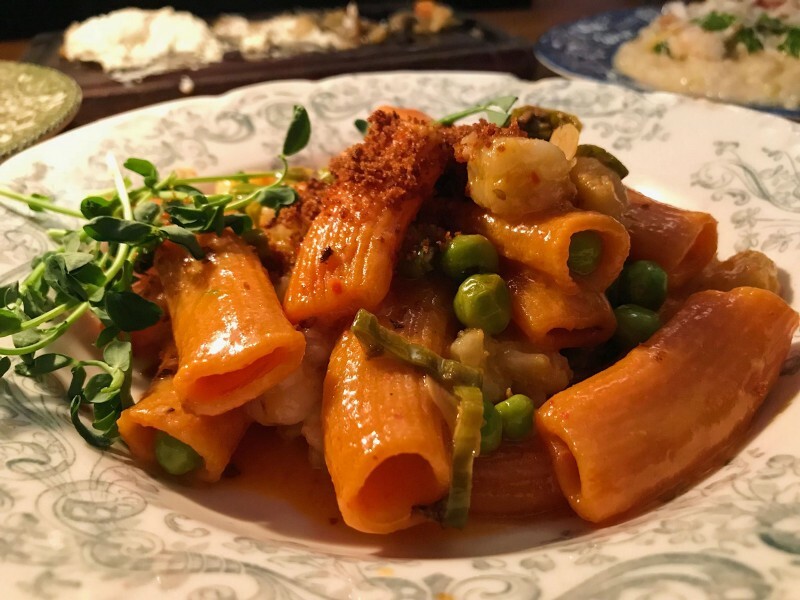 The most pasta forward restaurant out of any on this list, whether you like your dough in the shapes of pillows, spirals, pockets, or threads, you’ll find the perfect bite here. Tom Douglas’ restaurant is taking diners back to the sixties and seventies with its decor, but the food is very modern. Carlile Room for restaurant week allows diners to pick one app, one entree, and one dessert from their regular menu. You get the full experience and flavors of Chef Dezi’s masterful cooking. Chef Dezi is an alumnus of Douglas’ restaurant empire, having been head chef at the Palace Kitchen, and working under Chefs Mark Fuller and Eric Johnson. Toulouse Petit is an icon. Known for a gorgeous ornate setting, particular during brunch, Toulouse Petit captures the spirit of Cajun and Creole cooking with robust thoughtful preparation. It’s a sure favorite for many Seattlelites and undoubtedly, it will be yours as well. Interested in going to a restaurant week spot with me? My availability is limited and friends are already booking fast. Please comment with your first and last name, preferred restaurant(s) and best times for lunch and dinner. I’ll get back to you as soon as a spot opens up. Let's all be Tastebuds. I'm an Eater/Explorer/Writer/Geek.